Wizcrafter offers an online facility of Certificate Verification for students to confirm successful completion of their courses. Students, with a valid Unique ID, can check their certificates online after course completion. Certificate Verification assures students that the certificate provided by us is valid and authentic. 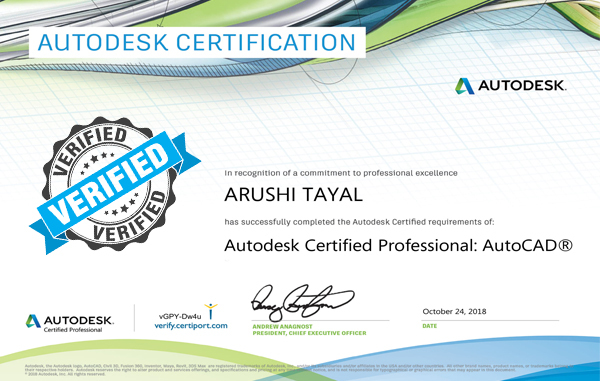 Wizcrafter provides facility to verify not only certificates issued by us but also Autodesk issued certificates which can be checked using the same student ID/exclusive card. Students who have completed a customized course will not be able to check their course details using this facility.